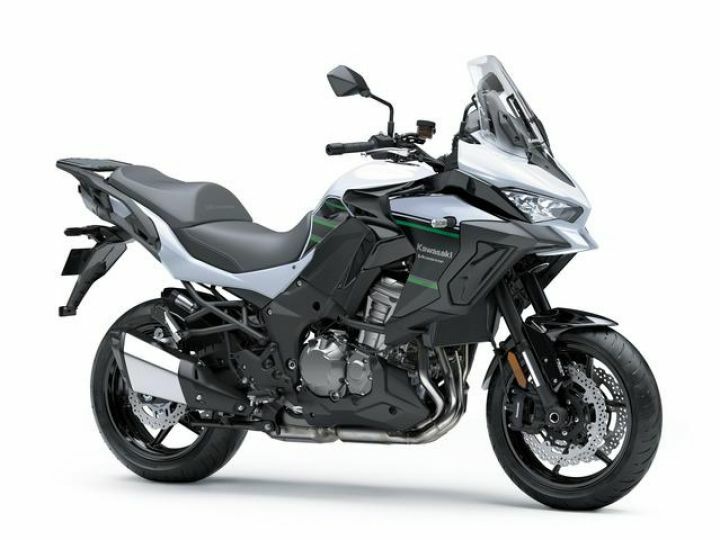 Kawasaki has just launched the MY2019 Versys 1000. Apart from various cosmetic updates, it also gets new features and a revised chassis. Here are five things you should know about the 2019 Kawasaki Versys 1000. It costs a whopping Rs 2.3 lakh less! The new Versys 1000 not only gets new features but at a launch price of Rs 10,69 lakh, it is Rs 2.3 lakh cheaper than its predecessor that cost Rs 13 lakh (ex-showroom). This is due to Kawasaki’s decision to offer the new Versys 1000 via the CKD route instead of the CBU one it used for the previous model. That and localisation of certain components has made such a drastic price-reduction possible. Thanks to the new twin LED headlamps that are brighter than before, visibility at night should see a drastic improvement. It, however, misses out cornering lights that the higher-spec Versys 1000 SE sold abroad comes with. Further, the suspension is tuned for a plusher ride, while the seat gets even more padding than before. These changes should ensure better long distance comfort. Meanwhile, Kawasaki says the braking has been improved thanks to the addition of radially mounted front brake callipers that replace the earlier conventionally mounted units. For starters, it gets a semi-digital instrument console similar to the one on the 2018 Kawasaki Ninja H2 SX. The new unit is not only large but quite comprehensive too. It also gets Kawasaki Traction Control (KTRC) and cruise control as well as Kawasaki Cornering Management Function (KCMF). The latter is an IMU-based management system that assists traction control in corners as well. This means it also gets cornering ABS. While the 1043cc motor on the 2019 Versys 1000 makes the same 120PS at 9000rpm and 102Nm of torque at 7500rpm, it now gets electronic throttle valves that offer more precise operation. That allows Kawasaki to use ride-by-wire that syncs nicely with other engine and traction management systems. This should result in smoother and more responsive power delivery. The Versys 1000 SE variant sold abroad gets cornering lights, a TFT instrument console with smartphone connectivity, self-repairing paint and best of all, a semi-active electronic suspension with four settings: Sport, Road, Rain, and Manual. Speaking of modes, it also gets four options for throttle response and electronic intervention: Sport, Road, Rain and Rider. Sadly, this model will not be coming to India anytime soon. Share your experiences with Versys 1000 2019?